Book Club Dolls–this month we get a twofer. Did your heart just beat faster? Another local author, and friend, wrote two books on diabetes. One on derailing the disease and the other, a cookbook. But, you sigh, I don’t have diabetes. Do you care about healthy eating? Do you care about the affect food might have on your body, your energy and your mind? Then follow along. It’s good for you. Kim has been one of the dolls for years. If you don’t know her, you don’t live in The Dale or you never go out your front door. No kidding, this chick knows everyone and those she doesn’t–it’s not for long. She could give lessons in working a room, meeting people and adding them to her tally of friends. Bottom line–if after you read the books you want to chat with her–it’s an easy sell. She’ll invite you over. Wait-she already has. Her “Better Late Than Never Book Signing and Launch Party” is 3-5 p.m., May 20. All the dolls are invited. True. She told me, “Invite them all.” Message me for the address. You know, to keep out the crazies. 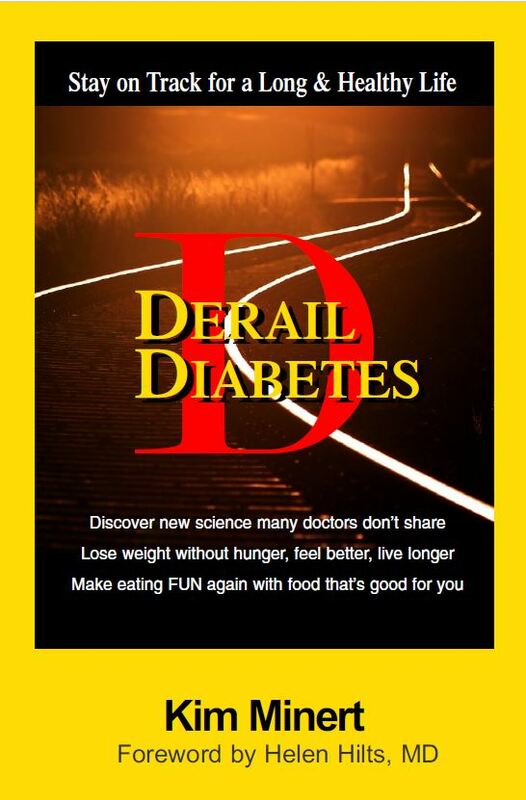 As for the reading material, Derail Diabetes is her first book. It’s a look at what happens when a girl’s husband is diabetic and then she, herself, joins the fray. Managing not just blood sugar, but life, in her casual conversational tone makes this an easy read but also a wake up call to just how healthfully we’re all living. In person, the girl is no less enthusiastic. Living a long, healthy life and teaching others to do the same is her passion. 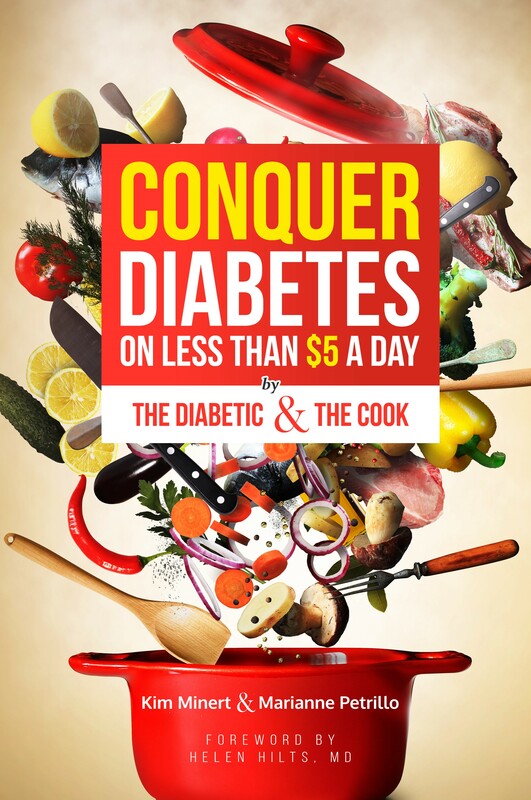 So much so that she follows up with, Conquer Diabetes On Less Than $5 A Day. Excuses that organic, healthy food is too expensive just flew out the window. This time she teams with Chef Marianne Petrillo to guide us through not only the best foods for a diabetic diet, but mastery of the low carbohydrate diet. It’s all the rage if you’re behind on your food trends. Bread haters. Both books are written under the direction of Helen Hilts, MD, a pioneer in diabetic medicine and lifestyle. In her spare time Kim’s an entrepreneur, speaker and coach. She accomplishes more in a day than most dolls do in a week. She explains simply that her life was turned upside down with the diagnosis of Type 1 diabetes at age 44. She decided to dive and learn how to live with it. Chef Marianne joined Kim to craft tools for food success, creating 125 original recipes. Marianne owned and operated restaurants with her husband, a French Chef, and considers herself to be, “just a real person with diabetes who loves to cook and create tasty dishes” for herself and her friends. Her recipes are made from real, whole ingredients and are healthy not just for diabetics but all diets. Oh and that book launch party? There will be food. Probably not bread, but still.